D-glucosamine hydrochloride is a kind of marine biological agents extracted from natural chitin with important physiological functions for the human body: It can promote the synthesis of human glycosaminoglycan ,which improves the synovial fluid viscosity of joint and the metabolism of articular cartilage, to achieve the prevention and treatment effect for the joint disease; it also participates in the detoxification and help anti-inflammatory of liver and kidney to protect our liver ; As a kind of main raw material for the synthesis of antibiotics and anticancer drugs, it can inhibit the growth of cancer cells; Patients who suffered with diabetes can take it as a sweetener or nutritional supplementary. 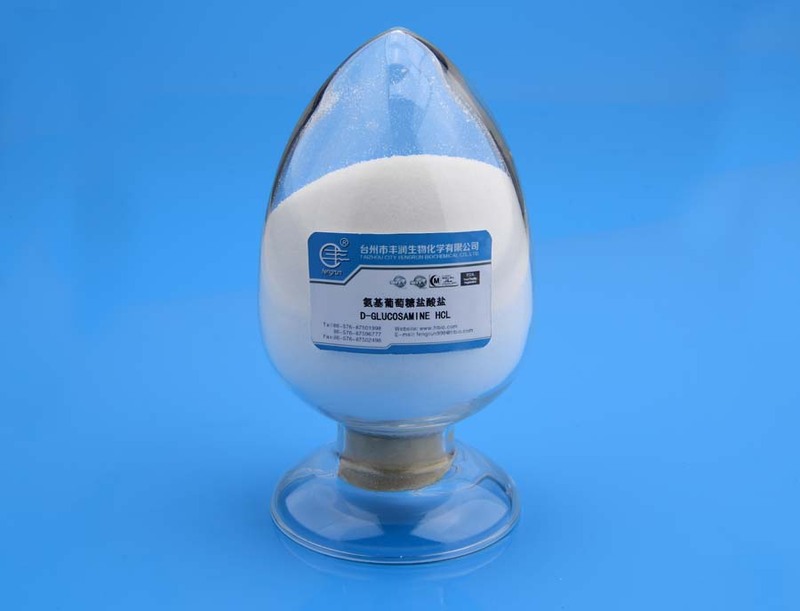 Properties：white crystalline, no smell, slightly sweet taste, easily dissolved in water, slightly dissolved in methanol, and undissolved ethanol and other organic solvents. Stored in a dry, clean, shady and cool place; Transported according to the packing requirements, with light loading and discharging, keeping the direction of package the same to products; Shall not be mixed with hazardous, toxic and pollution items; Shall be protected from rain.